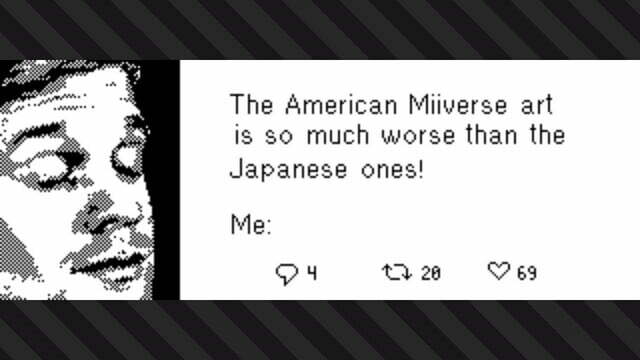 The original Wii U game Splatoon was a meme factory thanks to its Miiverse support, which allowed users to draw incredibly detailed artwork that would then show up in the game world, but it was unclear if Splatoon 2 would also spawn a wave of hilarious, and occasionally disturbing, images. The Nintendo Switch has no Miiverse, but an in-game drawing tool was still included with the game in order to facilitate player creativity. Luckily, the community has fully embraced it, and some truly remarkable artwork has already been produced. A Github user has already created a reverse-engineered HORI Pokken fight stick that is compatible with Splatoon 2‘s creation tool. The stick allows users to print images pixel-by-pixel, while others use the Switch’s direction pad to painstakingly draw their own posts. Unlike the Wii U, the Switch has no stylus, which makes the process considerably more difficult. As you can see from the gallery, that hasn’t slowed anyone down. 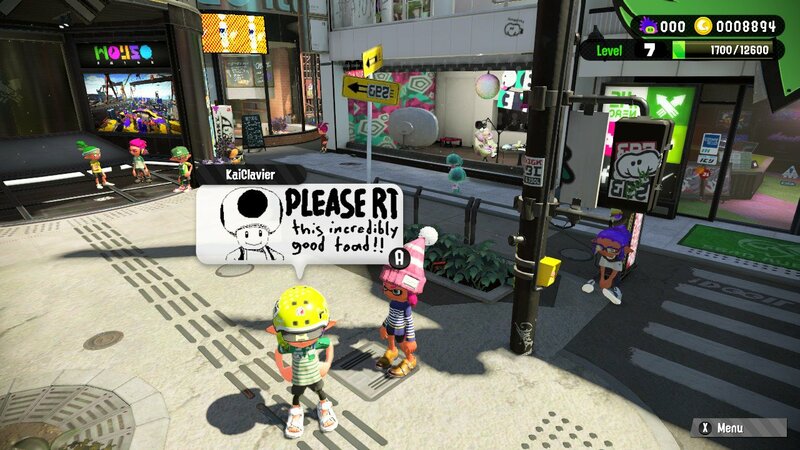 Multiple users have recreated video producer Patrick Gill’s very good picture of Toad, which Gill has pleaded in vain for Nintendo to post on its own Twitter page for months. 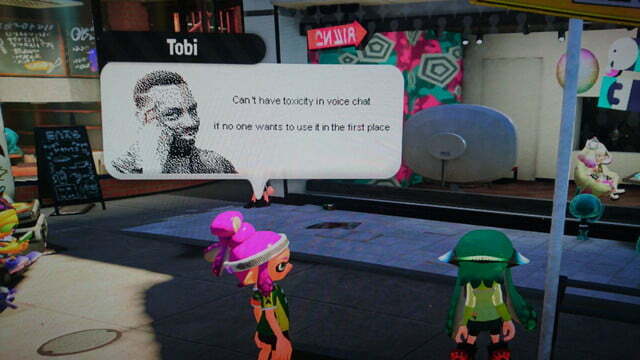 If this doesn’t convince Reggie Fils-Aimé and company to finally do what is right, nothing will. 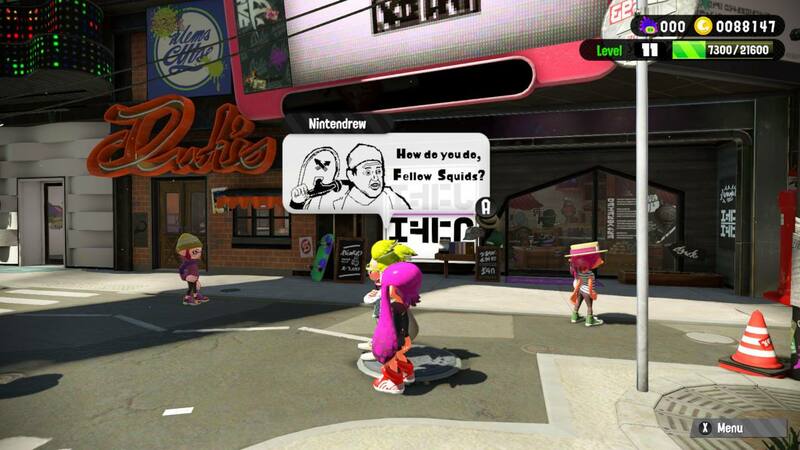 Another user turned Spongebob Squarepants‘ “Reef Blower” episode into an image, with Squidward naturally the star of the show. 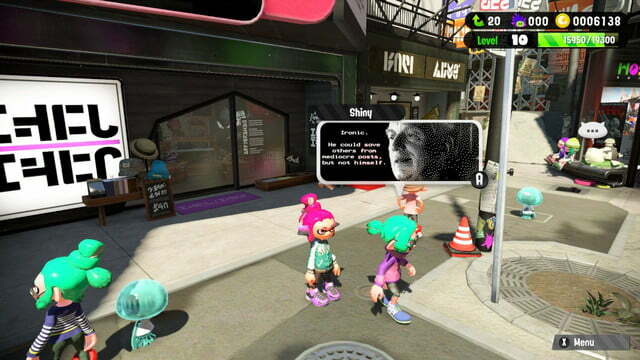 Perhaps out personal favorite, however, is user Nintendrew’s picture of Steve Buscemi from the show 30 Rock. The drawing even includes one of Splatoon 2‘s symbols on the bottom of Buscemi’s skateboard. 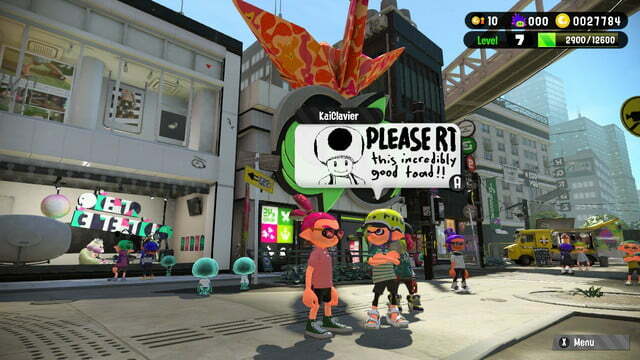 If you haven’t taken a moment to just walk around Splatoon 2‘s lobby and interact with other Inklings, we highly recommend it. 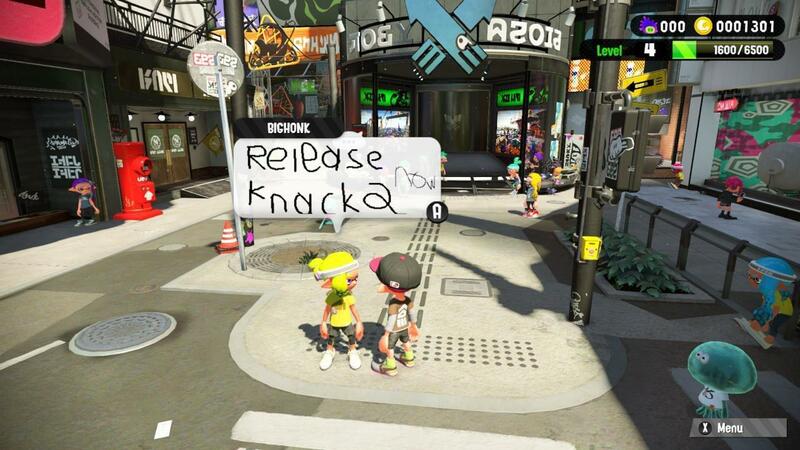 In addition to these incredible pictures, you’ll almost certainly spot someone pleading for Knack 2‘s immediate release. Just hold on, everyone. It’s only a few months away. 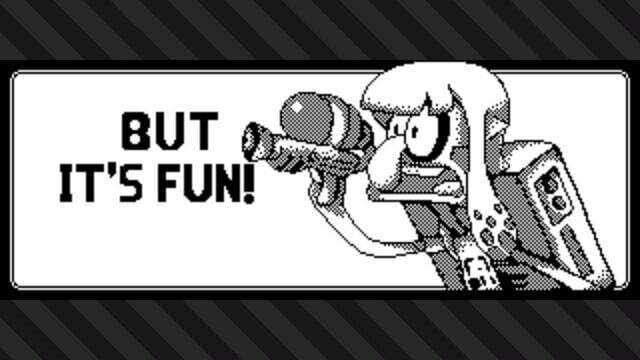 But even if you’re not interested in goofy memes, Splatoon 2 is definitely worth your time. Both its campaign and its competitive multiplayer modes build on the original game’s strengths, and the cooperative “Salmon Run” offers a nice twist on “horde” mode. The game is available now, exclusively for Nintendo Switch.